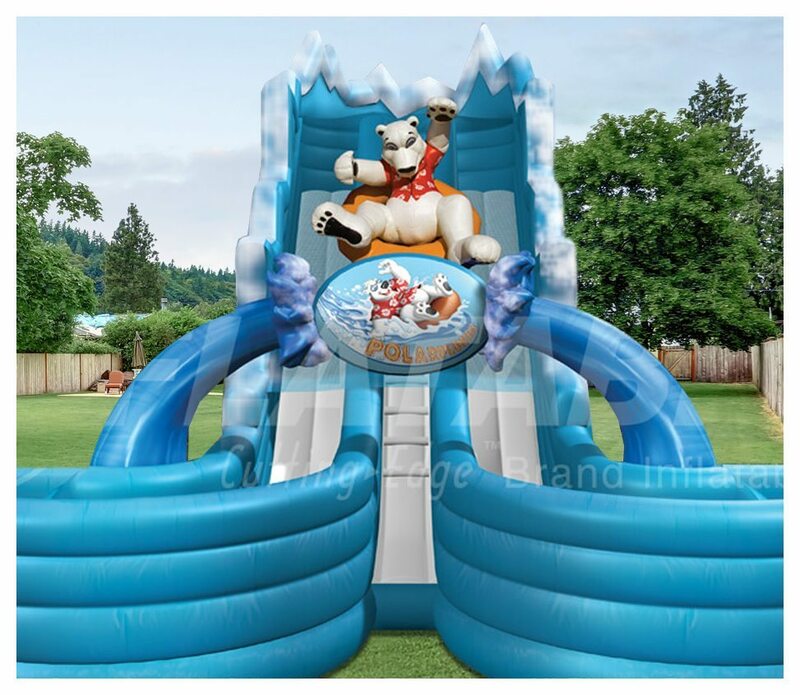 An exciting water-filled adventure awaits with POLAR PLUNGE! 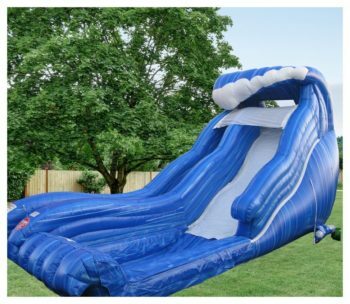 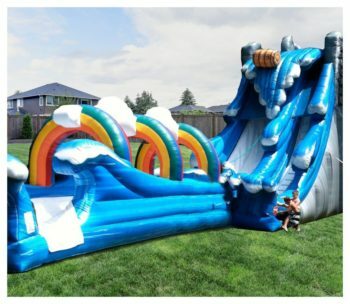 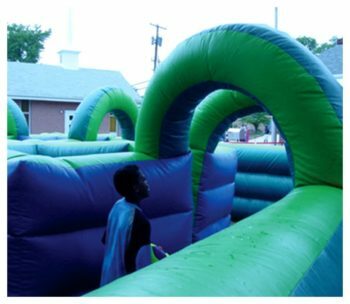 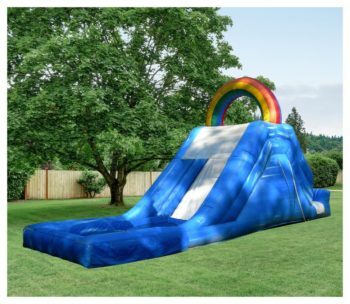 This fun-packed unit offers two lanes to slide wildly “out of control” as you zoom down and around the curve! 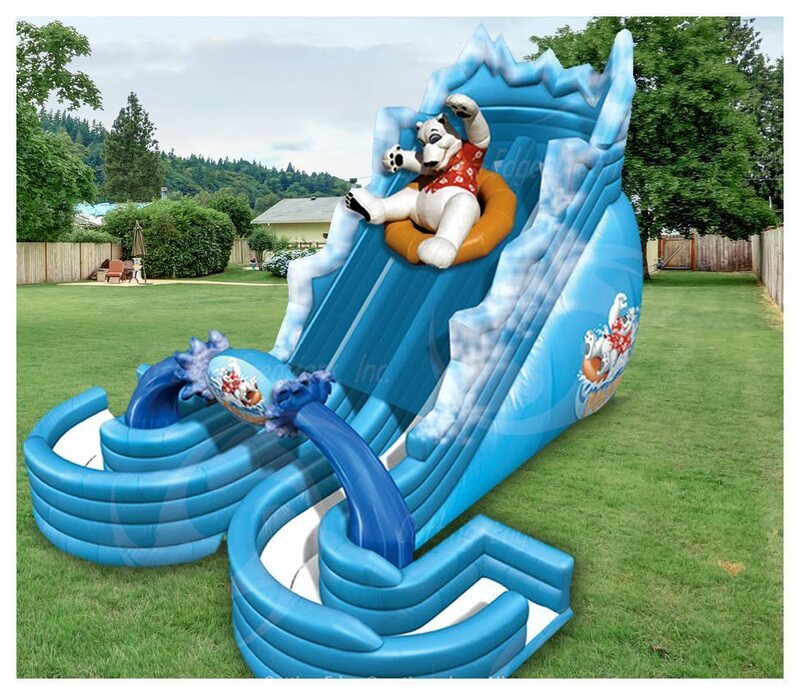 The Polar bear would watch, but he’s having too much fun sliding himself!